Living at home can be hugely beneficial for your well-being but it’s not always easy. We train our staff to the highest standards to ensure they can help you stay happy, healthy and safe in your own home. Our highly qualified and fully vetted staff are here to help you stay happy, healthy and safe in your own home. We can provide assistance with personal care including personal hygiene and moving and handling, Domiciliary Care such as cooking and cleaning, live-in carers and night sittings as well as social care to provide friendship and company on social outings.  Toileting, use of incontinence pads etc.  Encourage visits, outings, trips and visiting neighbours and friends. 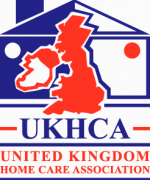 Member of United Kingdom Homecare Association (UKHCA) for professional association of homecare providers.